Offering unrivalled flexibility, this accredited degree covers key areas of finance and accounting and gives you the freedom to explore aspects of business that interest you – including some topics offered on only a few similar courses elsewhere. You’ll gain a comprehensive knowledge of accounting and finance on this accredited BSc. Its highly flexible structure means you can choose from a wide range of optional modules, allowing you to deepen your accounting and finance knowledge or study complementary business and management topics that interest you. The course also includes distinctive modules – one on audit and tax, and an optional module on the history and evolution of international business – that you won’t find on most other programmes of this type. Whatever your module choice, you’ll be taught by academics who will keep you up to date with the latest developments in the field. The course is accredited by the main accounting bodies eg ICAEW, ACCA and CIMA, enabling you to apply for exemptions from professional exams. On this accredited degree you’ll learn how to prepare and interpret financial and managerial information for a variety of users, as well as gaining an understanding of investment and finance. Our academics and practitioners are actively involved in research, with particular strengths in areas such as corporate governance, taxation, auditing, and financial accounting and reporting. This means your learning will be informed by the latest findings and current sector issues. This is a three-year, full-time degree course. Each year you’ll study a combination of core, compulsory and optional modules. The compulsory modules provide a thorough grounding in management and financial accounting theory and practice. They also cover related areas such as commercial law, audit, tax and financial markets. What distinguishes this course from many similar programmes offered at other universities is its flexibility. You’ll have the freedom to shape your course by choosing from a range of optional modules, allowing you to broaden your knowledge and explore possible career paths. You could learn more about futures and options or international banking, for example, or select modules in other areas of business and management, such as marketing, human resources management or project management. You could even study a language or take an interdisciplinary module on a topic of interest. During your final year you’ll complete a dissertation on a business-related topic of your choice, with support from an academic supervisor. The compulsory Principles of Audit and Taxation module provides an introduction to these two essential elements of accounting and finance, helping to guide your final-year module choice. Organisation and Accountability from a Historical Perspective is an optional module that explores the process of change within the business world through the study of archive material. Students gain a greater understanding of the decision-making processes associated with the restructuring of economies in response to competition and technological change. You’ll be taught by academics who are experienced educators. They bring the latest developments in accounting and finance to the course. 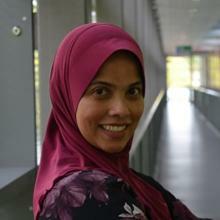 Programme leader Dr Fatimah Zainudin has taught finance and accounting internationally for almost 17 years. Her research interests include corporate social and environmental reporting, comparative financial reporting and tax reporting. She is currently investigating the quality assurance process of higher education in the UK and Vietnam. Dr Roy Edwards’ teaching focuses on financial accounting and decision making; his research interests include the history of decision making practices in government departments and companies. 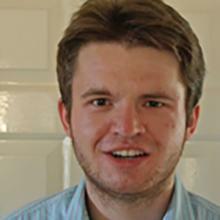 Dr Pingli Li has taught management accounting in the UK and China. Her research interests include management control systems and organisational change, the institutionalisation of management accounting practices, and the use of management control techniques in Chinese state-owned enterprises and the public sector. Gavin Midgley’s teaching is informed by over 10 years’ experience in the accounting profession, in both practice and industry environments. His current research is examining media representation of UK corporation tax affairs of multinational companies operating in the UK. Our strong links with industry enable us to involve practitioners from leading organisations in your education. In the second-year Financial Accounting module, there is an opportunity to present an assignment to audit partners from PwC and receive feedback on your work from a professional perspective. This session is also an opportunity for students to find out more about careers in auditing. Many modules include guest lectures from industry practitioners, giving you an insight into current sector issues. Recent examples include talks by representatives from Deloitte on the increase in narrative reporting in annual reports, and by senior staff from B&Q about production and pricing. The course is informed by the exacting standards of the accrediting professional accountancy bodies. Offers the flexibility to personalise your learning and explore your interests as you progress through the course, with a range of optional modules on accounting, finance and business-related topics. Includes modules found on few similar courses elsewhere, looking at audit and tax, and the evolution of today’s business world. Accredited by the main accountancy bodies, enabling you to apply for exemptions from professional exams. Graduates have gone on to work for leading banking and finance companies such as Deloitte and Barclay’s Capital. I’ve had the pleasure of presenting in front of PwC as part of the financial challenge in the Financial Accounting 2 module. I’ve also been elected as the Business School Academic President. The University of Southampton is committed to widening participation and ensuring that all students with the potential to succeed, regardless of their background, are encouraged to apply to study with us. The additional information gained through contextual data supports our admissions teams to recognise a student’s potential to succeed in the context of their background and experience. Students who are highlighted in this way will be made an offer which is lower than the typical offer for that programme. For a complete list of the other English language qualifications accepted click here. Four modules must be taken each semester. To progress to the second year and again to the third year, you are required to pass (40%) at least six modules including all core modules and achieve at least 25% in all eight modules plus obtain an average mark of at least 40%. In calculating the overall degree result, the weighting of second year modules to third year modules is 1:2. In year 1 there are three optional modules from the Business School, a language or other approved subjects. In year 2 there is one option - from either the Business School or a language. 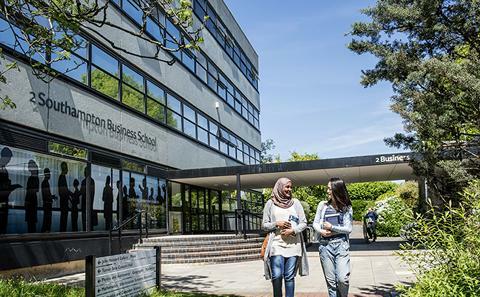 In year 3, the final year of the BSc Accounting and Finance programme, there are three optional modules from the Business School. In this year you will submit a double-weighted project (a dissertation). You must choose at least ONE Economics module. ECON1001, ECON1002 and ECON1003 can only be taken if you have A level Mathematics at grade C or higher. If you do not have A level Mathematics at grade C or above you will have to take ECON1009 Economics for Non-Economists. Our Curriculum Innovation Programme offers you the chance to take optional modules outside of your chosen subject area. This allows you to personalise your education, to develop new skills and knowledge for your future. Modules range from 'Living and working on the web' to 'Business skills for employability'. Some of our courses also give you the option of taking a language module, which can count towards your degree. These modules cover 10 languages and range from absolute beginner to near-native speaker level. If you do not have A-level Mathematics at grade C or equivalent you must choose ONE Option Module [15 CATS/7.5 ECTS] in Semester 1, and TWO Option Modules [30 CATS/ 15 ECTS] in Semester 2. You may also choose from the option module section if you have A Level Mathematics at grade C or equivalent. Please note you will need to choose one of these two modules depending on whether or not you have A Level Maths. Once you have chosen one of these it will then become Core. If you HAVE A-level Maths at grade C or equivalent - Semester 2 You must choose TWO Option Modules 15 ECTS/30CATS in Semester 2. As part of your choice you must also take: ECON1002 Introduction to Economics. As part of this you may choose to take 7.5 ECTS/15 CATS in a Language module LANG in either semester or choose to study a 15 ECTS/30 CATS LANG module over the whole year. FOUR Modules totaling 30 ECTS/60 CATS must be taken in each Semester. You must choose ONE Option Module 7.5 ECTS/15 CATS in Semester 1. You will graduate with a wide choice of career options in finance and accounting fields. You could choose to become an auditor, a tax specialist, a management accountant or consultant, or a financial controller. Graduates have gone on to work for financial organisations such as Barclay’s Capital and Deloitte. This course is also an excellent foundation for further study at postgraduate level. The BSc Accounting and Finance is accredited by the Institute of Chartered Accountants in England and Wales (ICAEW), the Association of Chartered Certified Accountants (ACCA), the Chartered Institute of Management Accountants (CIMA), and the Association of International Accountants (AIA). When you graduate you may be able to apply for exemptions from these organisations’ professional qualifications. You may learn in lectures, seminars and computer lab sessions, and through independent study. Our academics use case studies, simulations, group work and problem-solving exercises to encourage you to explore concepts and their applications. These activities will also help you to develop team working, presentation and communication skills, which are essential in the workplace. You’ll have access to all the resources you need to undertake your studies, including Bloomberg terminals, statistical software and wide range of databases from which you can extract data for your coursework or dissertation. Various assessment methods are used to measure your progress, including exams, individual and group assignments, and in-class tests. Your dissertation also forms part of your overall assessment. We offer plenty of support to help you achieve your academic potential. Every student is assigned a personal academic tutor who can advise on course-related and pastoral care throughout your degree. The module leaders are also available during timetabled hours each week to offer support and respond to students’ queries. In addition, a dedicated Facebook group provides a forum for students on the third-year Finance and Accounting module, where they can ask questions and share information. For more informal support, the Business School runs a 'peer assisted learning scheme' for new students. You can talk to trained, friendly second-year or third-year students who can direct you towards any additional support services you might need.